Vitáme vás (welcome) will greet you at the new National Czech and Slovak Museum and Library modeled after elements common to buildings in the Czech Republic. Dedicated to preserving and educating about Czech and Slovak ancestors and contributions, there are exhibits, demonstrations and tours. 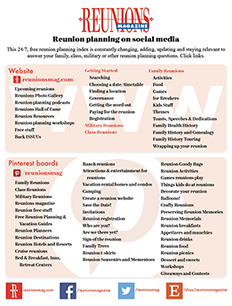 There are facilities for reunion groups, as well as family and business memberships. Contact the museum at 30 16th Ave SW, Cedar Rapids IA 52404; 319-362-8500.